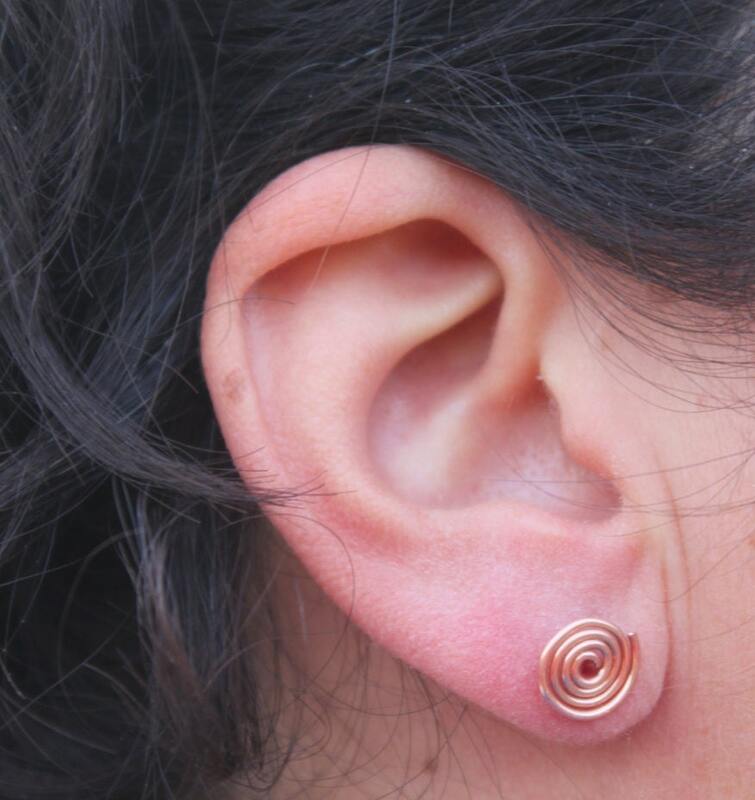 Radiant and harmonious, spiral beauties! 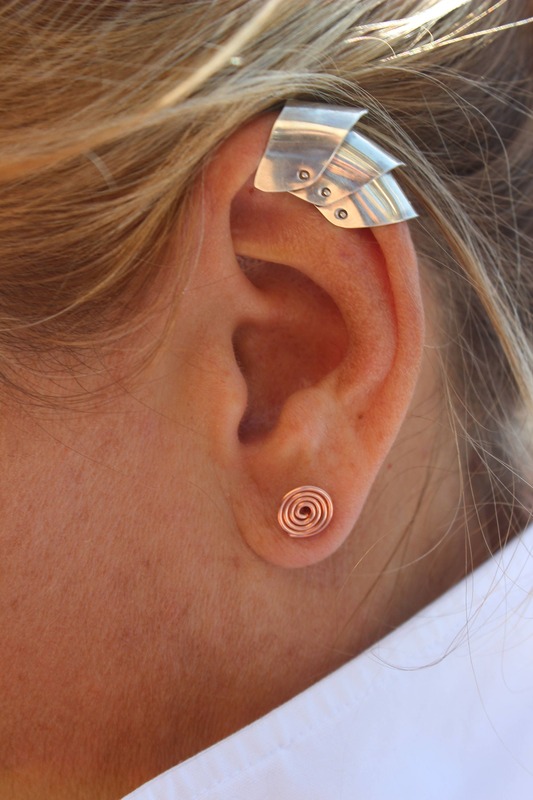 With my own hands and tools, I make these earrings using copper or sterling silver wire for a minimalist and geometric design. 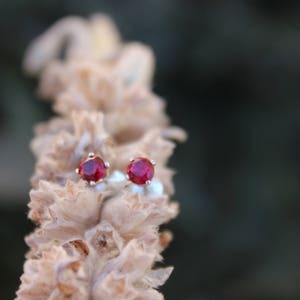 These make a fun gift for yourself or for another! 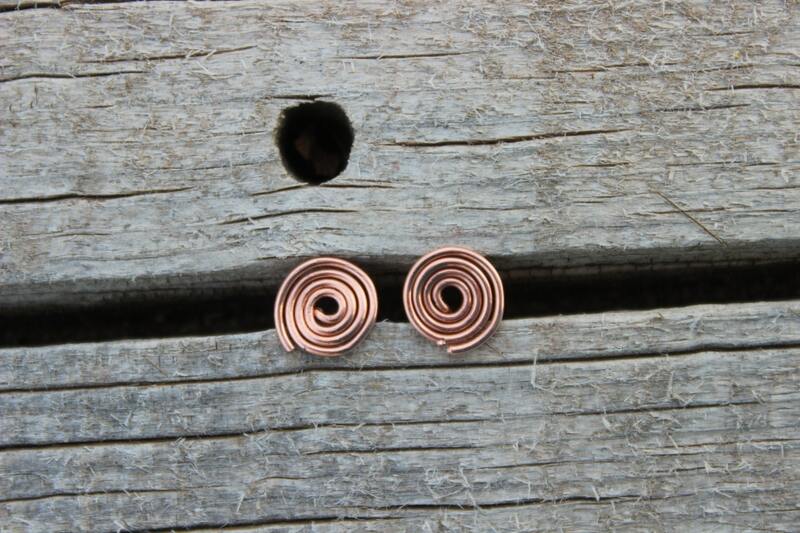 Your swirl stud earrings will be very similar to the pair in the photos. 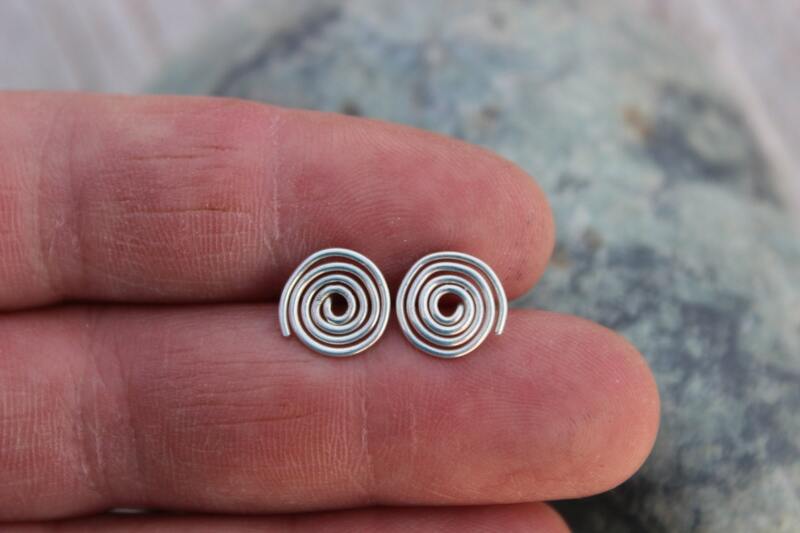 Please keep in mind that the swirl pattern may be slightly different which ensures that the earrings you receive will be uniquely yours! 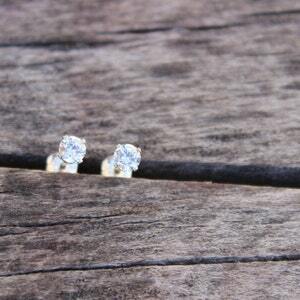 I will get started right away on your earrings, but please allow up to 10 business days to complete your earrings. 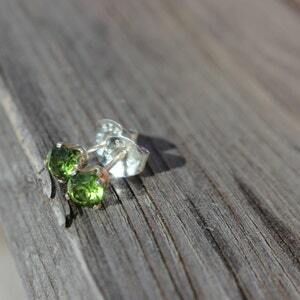 If you are in a rush, just send me a message and I will do my best to send these out to you quickly! 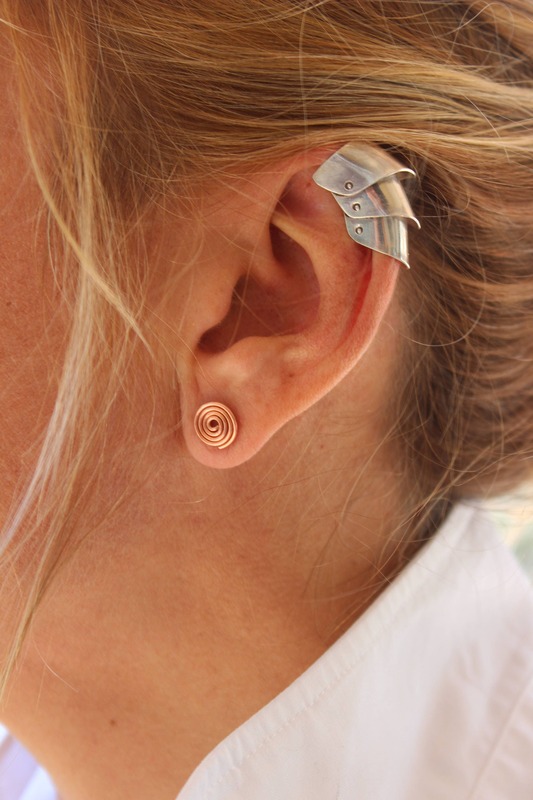 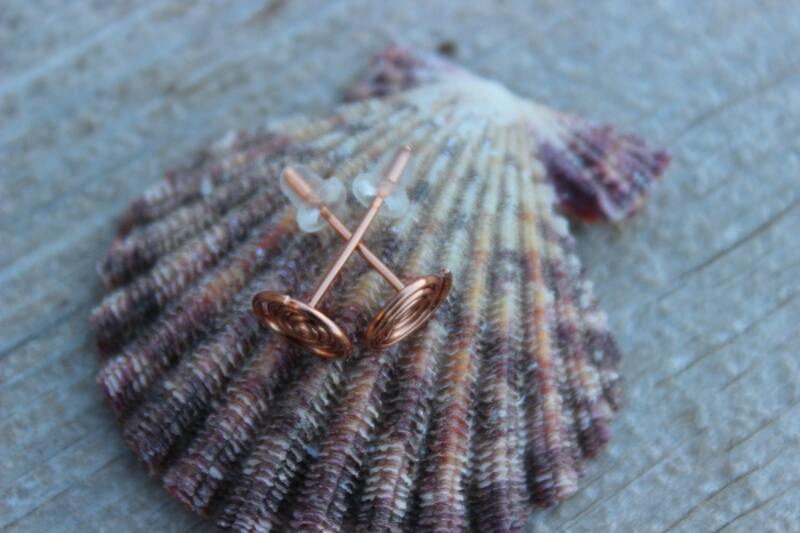 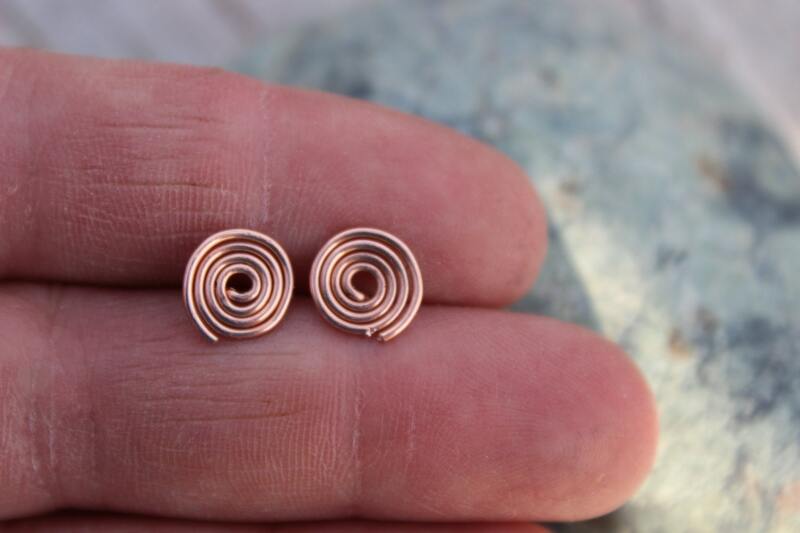 Your handmade spiral earrings are approximately 1/4 inch (0.6 cm) wide.